Not many of us can say we have a dream job waiting for us out of high school. And even fewer of us can say we're going to be paid millions for that job, again, straight out of high school. I'm talking about this year's Major League Baseball draft picks. The top two picks are right out of high school and they're looking at potential bonus checks greater than $7 million each. 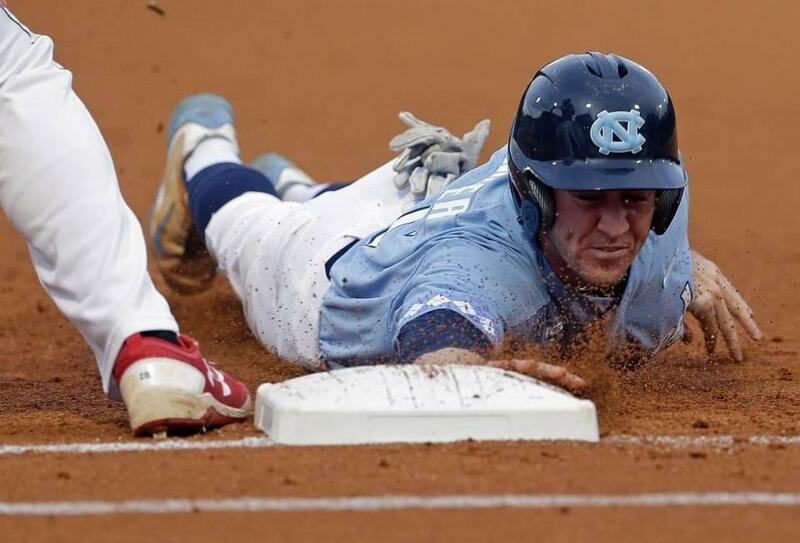 North Carolina's Brian Miller slides safely into first base during the first inning of an NCAA college baseball tournament regional game against Davidson in Chapel Hill, N.C., Sun., June 4, 2017. He was picked by the Marlins 36th in the draft. The Miami Marlins top pick this year was Trevor Rogers, a left-handed pitcher out of high school (above picture) out of Carlsbad, New Mexico. Rogers committed to play in college, but he could take a $3.5 million contract to forego school for now. It's not going to be easy. 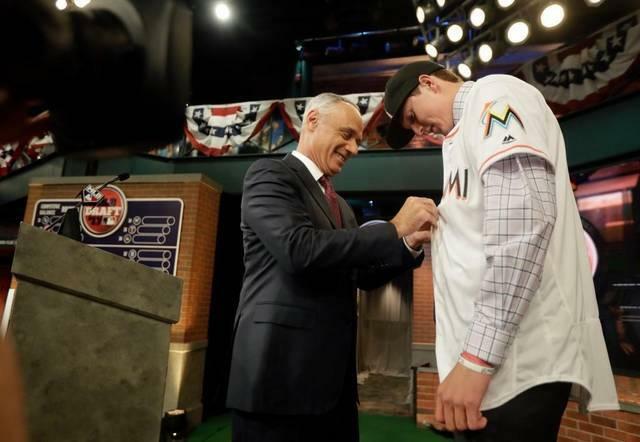 The Marlins haven't really had a first rounder do much in the majors, not since the late Jose Fernandez, who went 14th in 2011. Since we're talking about money, the thing to remember is that even the last handful of players picked in the draft could receive six-figure bonuses for being drafted. Not bad to offer a young man chasing a dream. That's doesn't guarantee they'll ever make it to the major leagues. They still have to climb the minor league system and work their way into a position on the big league teams. The odds are quite astronomical, so the money can help in a lot of ways if they don't make it. The Marlins drafted the nephew of Alex Rodriguez, North Carolina State infielder Joe Dunand (3), in Monday’s amateur draft. Dunand was a star at Miami’s Gulliver Prep. He was picked 51st overall. The Marlins signed another famous name in the second round of the draft, Joe Dunand from North Carolina State. OK, not a famous name but a famous lineage. He's the nephew of former Major League star Alex Rodriguez. 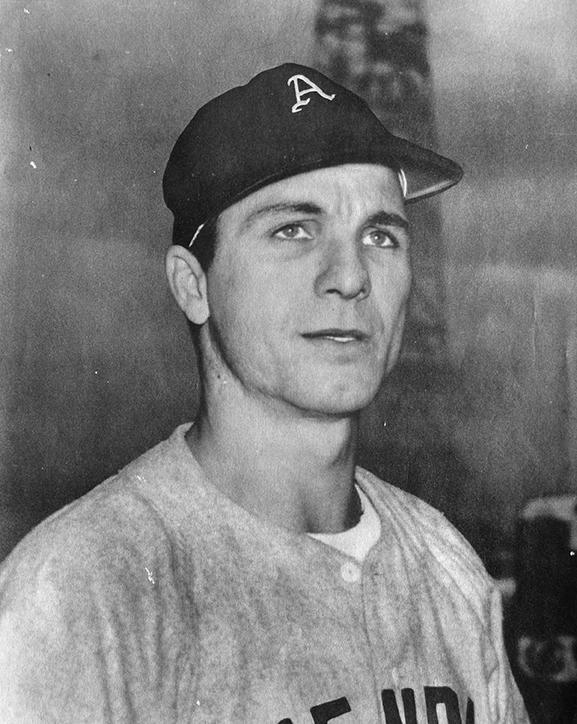 Dunand was a star at Gulliver Prep in Miami-Dade where he holds a national record with eight home runs in eight consecutive at-bats. The Marlins also picked up outfielder Brian Miller from the University of North Carolina at No. 36. Some other notable locals drafted include Jeter Downs, from Monsignor Edward Pace High School in Miami, drafted No. 32 by the Cincinnati Reds; MJ Melendez of Westminster Christian School High in Palmetto Bay, drafted 52nd by the Kansas City Royals, and Joe Perez from Archbishop Edward A. McCarthy High School in Miami, drafted 53rd by the Houston Astros. According to this Bleacher Report article, the chances of making it to the big leagues is relatively small, especially if you're coming out of high school. But things look good if you're one of the top picks. All that money will go a long way even if you don't make it. 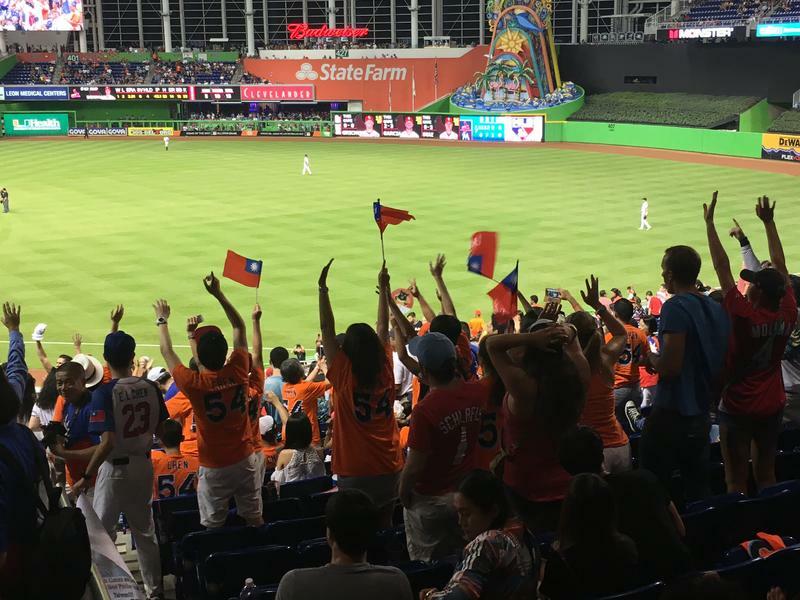 With the start of baseball season in sight, millions of Latino fans in the U.S., the Caribbean, and Latin America will be rooting for their favorite players, many of whom are transplants from places like Venezuela, Dominican Republic, and Cuba. 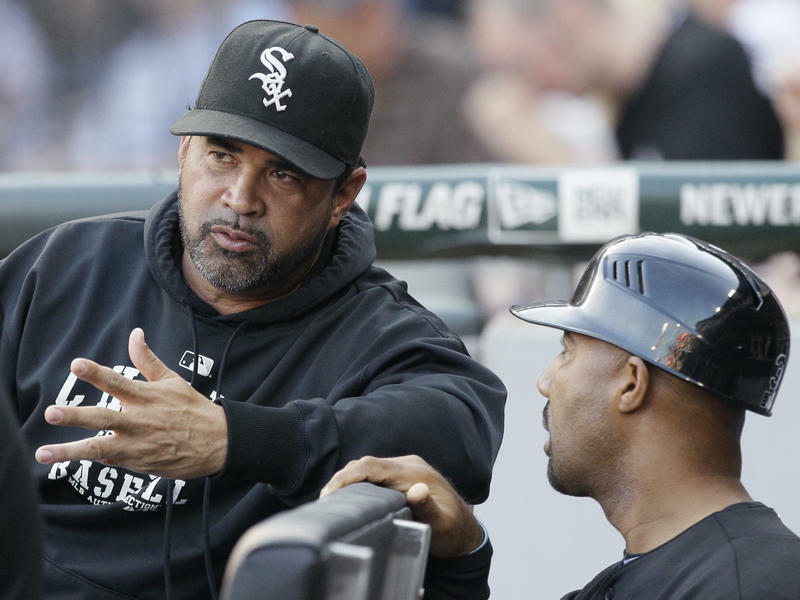 But Spanish-speaking fans, millions of whom watch Spanish-language broadcasts of baseball games, will have little idea of the lingering challenge some Latino players in the States have long faced: inadequate language support from the minor and majorleagues. On opening night for the Marlins in April, it was Miami vs. the Detroit Tigers. As the booming voice in the stadium announced the lineup, a new guy walked from the bullpen onto the field: Number 54, Wei-Yin Chen, a native of Taiwan. The 2015 Major League Baseball season has come to an end. For baseball fans that could mean following another sport, or catching up on baseball history. "Havana Hardball, Spring Training, Jackie Robinson and the Cuban League" has enough history and statistics for any die-hard fan.